Grocery giant Loblaw Cos. Ltd. has admitted to participating in a scheme to increase packaged bread prices for more than 14 years, saying it will co-operate with a Competition Bureau investigation into the industry…"Canada Bread and its associates operate with the highest ethical standards and is cooperating with the investigation," Canada Bread spokeswoman Sylvia Sicuso said in an e-mailed statement early Wednesday. "Neither the company nor any associates have been charged with any offences." Grocery giant Loblaw Cos. Ltd. has admitted to participating in a scheme to increase packaged bread prices for more than 14 years, saying it will co-operate with a Competition Bureau investigation into the industry. 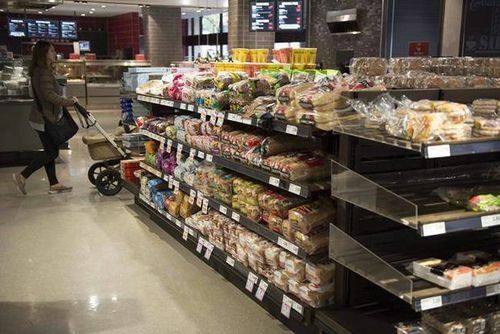 And Loblaw says it will start offering $25 gift cards on Jan. 8 to customers who declare they bought certain (as yet unnamed) breads at some of its (as yet unnamed) chains before March 1, 2015 – a gesture that the company says could cost as much as $150-million. The parent of Loblaw, George Weston Ltd., which owns bread-maker Weston Bakeries, also admitted to participating in the price-fixing – and said another major bread producer and other big grocery chains were also involved. Loblaw said it would provide more details on gift-card eligibility in January. Loblaw's revelations come amid a bureau criminal probe into bread price-fixing and the acknowledgment this fall by major supermarket retailers, as well as Canada Bread Co. Ltd., this country's other major bread producer along with Weston Bakeries, that they were co-operating in the bureau's inquiry. "This sort of behaviour is wrong and has no place in our business or Canada's grocery industry," Galen G. Weston, chairman and chief executive office of both Loblaw and George Weston, said in a statement late on Tuesday. Loblaw and George Weston provided information under the bureau's "immunity and leniency" program, which gives incentives for parties in exchange for "co-operation against others involved in the cartel," bureau spokesman Marcus Callaghan said. As a result of their co-operation, Loblaw and George Weston will not face criminal charges or other penalties in the continuing investigation, the companies said. Montreal-based Metro, Sobeys and Canada Bread have all said they are co-operating with the investigation. In a statement on Tuesday night, Metro said it continues to co-operate fully and has launched an internal investigation. The grocer said it has "found no evidence" that it violated the Competition Act and does not believe that the probe will have a "material adverse effect" on its business. Sobeys Inc. said in an e-mail on Tuesday night it has "no reason to believe that Sobeys, nor any of its employees, have been involved in price-fixing." Sobeys said that Loblaw's "reckless assertion of industrywide price fixing has not been validated." Penalties for price-fixing include fines of up to $24-million, imprisonment of a maximum of 14 years, or both, Mr. Callaghan said. Bread producers and retailers have felt the heat of intense discounting of products such as bread – which is often used as a so-called loss leader – as well as the pinch of consumers shifting away from buying bread as they seek alternatives that are considered healthier. Loblaw estimated that the gift cards would cost it between $75-million and $150-million, which suggests that consumers will use between three million to six million cards. Loblaw plans to take a charge for the expense in its fourth quarter and further charges may be taken at both Loblaw and George Weston once estimates of civil damages are better understood. Civil class-action suits have been filed against Loblaw, George Weston and other industry companies involved, said Irene Nattel, retail analyst at RBC Dominion Securities. Loblaw and George Weston remain open to a reasonable settlement, Mr. Weston said. "Although the disclosure that Loblaw and Weston participated in industrywide price-fixing involving certain packaged bread products is disappointing, the companies did act as highly responsible corporate citizens in reporting the issue to the Competition Bureau immediately upon discovery of the scheme," Mr. Nattel said in a note. Overwaitea Food Group of Langley, B.C., participated in the inquiry as a "fact witness" helping the bureau in its probe but "we were not a target of the investigation," Overwaitea spokeswoman Julie Dickson said. Spokespersons for Wal-Mart Canada Corp. and Canada Bread said this fall that they were co-operating with the investigation. A Sobeys spokeswoman confirmed last month that bureau officials were in its offices checking records under the probe's search warrants. Wal-Mart and could not be reached late Tuesday. "Canada Bread and its associates operate with the highest ethical standards and is cooperating with the investigation," Canada Bread spokeswoman Sylvia Sicuso said in an e-mailed statement early Wednesday. "Neither the company nor any associates have been charged with any offences." The probe is looking into pricing activities dating back to 2001 of the two bread suppliers and Loblaw, Sobeys and Metro, in that ranking order of major grocers, along with discounters Wal-Mart and Giant Tiger, according to information obtained by The Globe and Mail in late October from a search warrant in the investigation. Loblaw said on Tuesday that court filings about the bureau's searches were made available to the affected companies earlier in the day, prompting Loblaw and George Weston to disclose their part in the price-fixing. When first discovering this anti-competitive behaviour in March of 2015, Loblaw and George Weston immediately reported it to the bureau and subsequently co-operated fully with it, the companies said. They said they have taken actions to address the role in industry-wide price-fixing of bread. Loblaw runs such chains as Real Canadian Superstore, No Frills and Provigo. The bread price-fixing took place from late 2001 to March of 2015. Loblaw and George Weston said their knowledge of the investigation is limited and they have been co-operating with it as "an immunity applicant" since March of 2015, under a requirement to keep the information confidential. The court filings with more details about the inquiry remain sealed, they said. The employees responsible for Weston Bakeries' and Loblaw's role in the price-fixing are no longer with the companies, they said. Loblaw and George Weston said they have tightened up measures to prevent a similar price-fixing occurrence from happening again, going further than the bureau's own requirements, including more training and certification. The companies set up a new independent compliance office, led by a chief compliance officer, to make sure they follow competition laws.